Pop Art is the movement in art when artists began to create art with the subject of things that are the iconic in nature such as famous people, advertising, and movies. The British and the American people were responsible for setting off this type of art in the 1950's and 60's. In art history, art movements are attached to time periods. It is the most recent form of artistic movements next to postmodernism. Abstract expressionism precedes pop art. An offshoot of pop are is a type of art called "Lowbrow". It was started in the 70's in California, USA and is often termed "pop surrealism". One of the most notable pop artists was the artist Andy Warhol (1928-1987). One of Andy Warhol's most famous paintings was that of a Campbell's soup can. How much closer can you get to pop culture of the 60's than a can of soup? Well, perhaps the answer is Marilyn Monroe. Warhol is noted for creating artistic portraits of Marilyn Monroe. Warhol is noted to have mingled with many different subculture circles and must have had some influence on how and why he created the art that was famous for. I bet you didn't know his birth name was Andrew Warhola. Or perhaps you did? Another notable pop artist was Roy Lichtenstein (1923-1997). 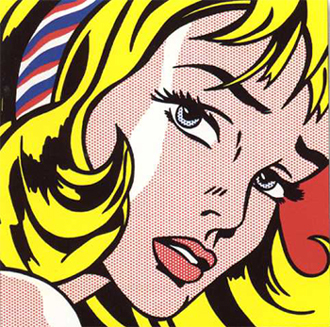 Lichtenstein loved doing abstract expressionism but later was drawn to pop art in the 60's. He created art using comic strips as the subject. He also was known for creating pop art style reproductions of master painters like Monet. Personally, I always like to see someone play with a master's artwork. What better exercise could an artist receive? In 1962 the world's first public exhibit of pop art was shown at the Pasadena Art Museum. The works included artists Jim Dine, Roy Lichtenstein, Andy Warhol, Robert Dowd, Phillip Hefferton, Joe Goode, Edward Ruscha, and Wayne Thiebaud. I like to think of pop are as being fun, colorful and playful. As much as it can be associated with a child-like playfulness and simplicity, it has quite a bit of art theory to it.